Shapoorji Pallonji Joyville Hinjewadi: A distinct development packed with world-class features and happiness galore! Pune is a fabulous city with a pleasing environment that will always keep you at ease. There is something about this city that is pretty hard to explain, but truly easy to experience. 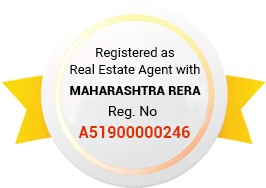 Pune’s real estate has come a long way and has a lot to offer today. Shapoorji Pallonji Joyville is a new residential project by ShapoorjiPallonji Group in Pune that offers every element of luxury and comfort for a joyful living experience that will satisfy your soul! Extended over beautiful acres of luscious greens, this residential undertaking contains premium structures that offer 1BHK and 2BHK luxury apartments with that are nothing short of architectural beauties! The apartment carpet area sizes start at 425 sq. ft. and go up to a beautiful 650 sq. ft., providing all the space you need for all your needs and necessities. Shapoorji Pallonji Joyville Pune is an extravagant residential development that offers a life of luxury, comfort and happiness each day! Say ‘Goodbye’ to disappointing residential spaces that fail to fulfil your needs and welcome this development that caters to all of your needs with arms wide open. The apartments are spacious, designed perfectly to provide good cross ventilation and natural lighting, and contain plush flooring in every room, fancy fittings & fixtures, decorative doors and windows providing jaw-dropping landscape views of rich greens, electrical fittings located perfectly for convenient access, multiple safety features and this list goes on. Welcome to a world of modern-day living that is a step adobe the rest! This residential development offers world-class external amenities that you and every member of your family will love. The external amenities include a large clubhouse, ell-equipped gym, dedicated basketball and tennis court, a play-area for your kids, swimming pool, efficient power back-up, intercom facility, landscape garden, wide open space and manned security. Situated at Hinjewadi, a popular IT hub in Pune, Shapoorji Pallonji Joyville Hinjewadi has a number of your daily and emergency requirements in close proximity and offers a life of convenience that will surely make you glad! Places like schools, colleges, institutes, cafes, restaurants, parks, medical centres, hospitals, malls, shopping centres, supermarkets/hypermarkets, convenience stores, retail outlets, hotels, banks, ATMs, public transport and a lot more can be found and accessed without worrying about long-distance journeys. This residential development helps you save time for the things in life that really matter! 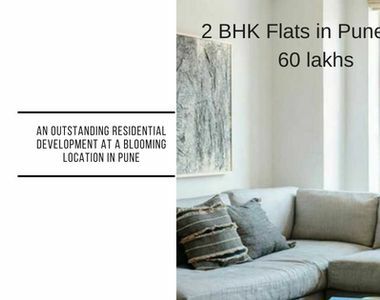 The strategic location of this development also offers fast and easy connectivity to other locations in Pune. Starting at a price of Rs.40 lakhs and moving up to Rs.55 lakhs, the Shapoorji Pallonji Joyville Hinjewadi price is affordable and definitely worth the state-of-the-art features that it has to offer. If you are looking out for a new home or an investment for that matter, an apartment at this development will surely keep you happy and satisfied. You can also choose from multiple payment plans along with home loans at low interest rates, NRI services and more for a convenient buy. Come, be a proud owner of a spectacular property in Hinjewadi and spread to joy! huge spaces of playgrounds on holidays. masterly security staff provided for the project.